We often think of our homes as an escape from the elements, a way to be removed from the discomforts of nature. For Earth day, we wanted to highlight some homes that flip this notion upside down and instead are built amongst nature in ways that celebrate the natural beauty of our planet. Residents of this mountain retreat in Jackson Hole, Wyoming wake up to the sun rising above the Grand Tetons. The home sits on a mountainside, 800 feet above the valley. A sprawling floor plan with huge glass windows allows the home to feel like it opens up right into the wilderness. Sitting on the edge of a gorge in Bohemian Switzerland, a picturesque region in the north-western Czech Republic, this Walden-esque escape from traditional society is a nature-lovers dream. Immersed in 500-acres of jungle on the southern coast of Costa Rica, Finca Bellavista is the world’s first modern sustainable treehouse community. It serves as a resort and escape as well as a as a local community and features a community center, restaurants and homes, all amongst the trees. Every structure is one-of-a-kind, built to accommodate the necessary elevation and available trees. The community places a huge emphasis on sustainability, encouraging small homes, utilizing rainwater collection and solar power. 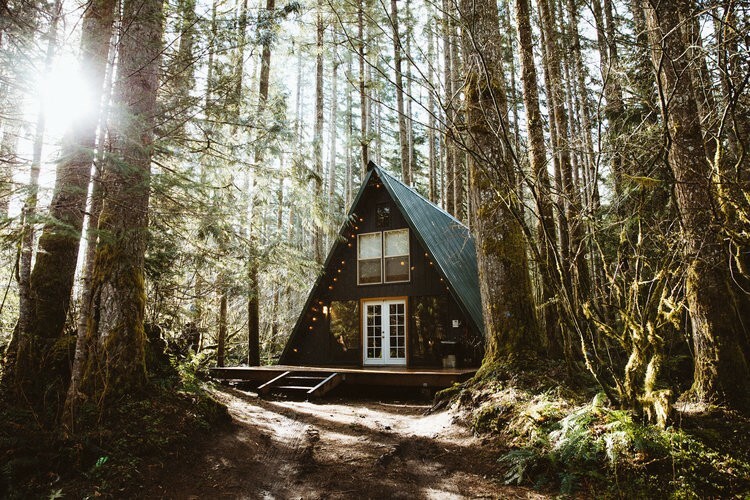 Tye Haus is located between the pines in the private cabin community of Timber Lane Village just outside Skykomish, Washington. It’s just like camping, but without the mosquito bites and jagged rocks under your sleeping bag! 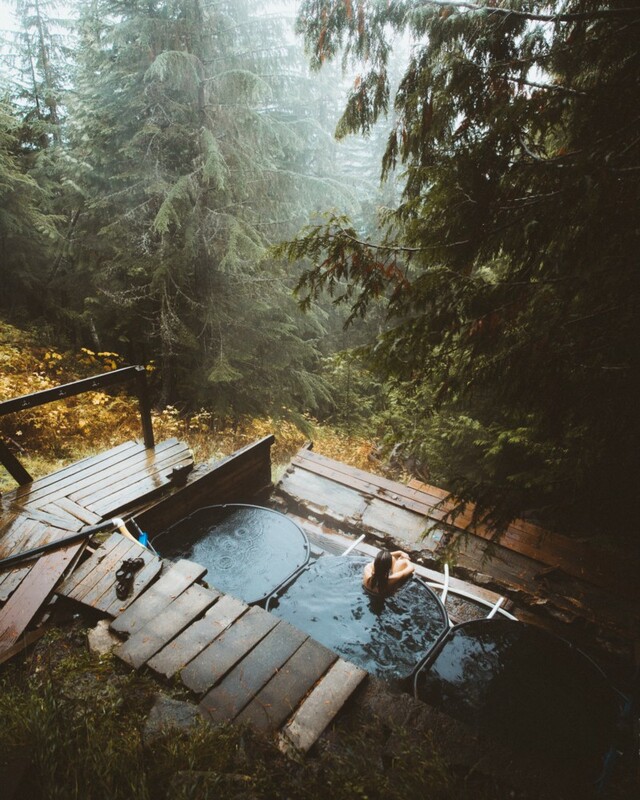 With hot tubs that run on natural hot springs and amazing views, the cabin is the perfect place to relax and take it easy while you enjoy the sounds and sights of the woods. Every kid, at one point or another, dreamt of having a treehouse in their backyard. This is that dream in real life. Built by Terunobu Fujimori, Takasugi-an, which literally means “a tea house too high,” sits atop three chestnut trees in Chino, Nagano Prefecture, Japan. It’s accessible only by ladder and serves tea to local guests. A cabin gives the phrase “lake house” a new meaning. Located in the middle of Lake Minnewanka, a glacial lake in the eastern portion of Banff National Park, this home is probably not ideal for those who are weak swimmers. The view though, is sublime. Anka Lamprecht and Lukas Wezel’s rustic cabin in Grotli, a tiny, mostly abandoned village in Norway, features a view that looks like it’s straight out of Westeros. While living conditions are far from convenient, the tradeoff for a life of simplicity in the mountains is pretty extraordinary.